Does Physical Therapy Help Chronic Pain? Chronic pain is a term we hear a lot these days, most often in connection with our nation’s opioid abuse epidemic. Chronic pain is a very real condition and absolutely needs to be addressed. But as experts and families witness the negative effects of opioid use, even in treating legitimate medical conditions, the search for non-drug options to combat chronic pain has become a major focus. Physical therapy can be an effective and incredibly productive tool in fighting chronic pain and has some additional positive effects that can elevate mood and contribute to better overall health. It’s part of the growing trend toward “safe” pain relief as an alternative to addictive drugs. That’s why the Centers for Disease Control now recommends physical therapy and other non-drug options whenever possible for chronic pain. Chronic pain shows up in a wide range of ways for a wide range of reasons, but according to the Institute for Chronic Pain, the term comes into play when illness or injury causes a patient to be in pain for more than six months. According to the American Physical Therapy Association, more than 116 million Americans experience chronic pain each year. It’s a growing problem that creates a negative cycle of associated conditions including sleep disorders, anxiety, depression and in some cases opioid addiction. More and more, doctors and chronic pain sufferers are realizing that opioids may not always be the answer and are seeking better and safer drug-free treatments. Chronic pain usually results from an injury or illness but often goes beyond that initial source of pain and takes on a life of its own with both physical and mental components. The APTA offers an excellent analysis of chronic pain on its website, with an explanation of how chronic pain is related to how our brain and nervous system process information. When pain becomes long-term, the pain centers in the brain become extra sensitive, sending out pain signals even when there aren’t any direct new causes or injuries, making life miserable for many patients. Some common causes include arthritis, back pain, degenerative disc disease, neck pain, foot and leg pain, sciatica, piriformis syndrome, shoulder and hip pain, diabetes and fibromyalgia, along with other of other conditions. How Can Physical Therapy Treat Chronic Pain? As APTA puts it, while opioids may be the best option for treating pain for some illnesses like cancer and for end-of-life care, for many chronic pain conditions involving bone, muscle and nerve problems, physical therapy is a much better choice. One of the biggest benefits of PT is that it can actually resolve underlying issues instead of simply treating pain as a symptom as opioids and other drugs do. As APTA puts it, physical therapy goes beyond masking the pain and instead addresses the issues that are actually causing the pain. That’s an incredibly powerful shift in attitude. A 2016 CDC report emphasizes the effectiveness of physical therapy in treating chronic pain, highlighting tangible positive effects of physical therapy in treating pain resulting from osteoarthritis of the hip and knee along with demonstrable positive effects in treating low back pain and fibromyalgia. In many cases, PT not only reduces pain but actually improves function and boosts mood as well. In some cases, a high-quality physical therapy plan can entirely replace opioid medications and, in other cases, can be used with opioid treatment, leading to a shorter length of drug-based therapy. What Should I Expect in a Physical Therapy Session for Chronic Pain? 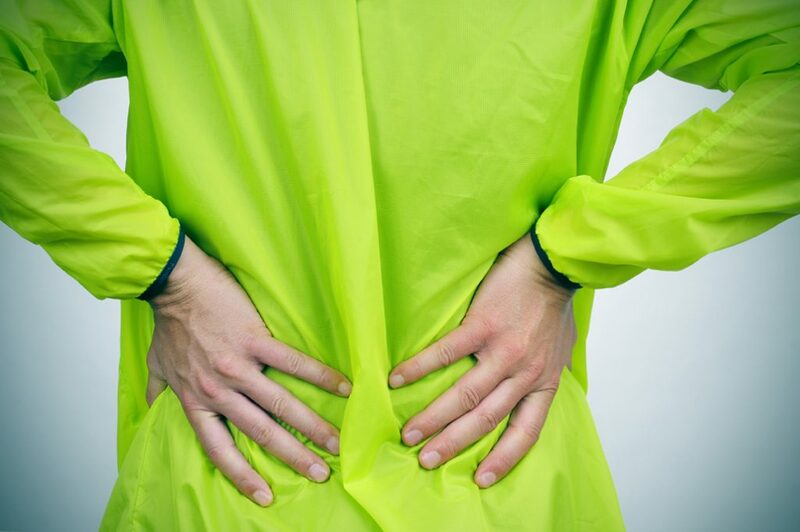 The APTA recommends a three-pronged approach to treating chronic pain with physical therapy. This includes exercise, hands-on manual therapy and patient education. Exercise: your therapist will come up with a program designed to meet your needs based on your diagnosis and overall health. In most cases, a PT program for chronic pain involves strengthening, stretching and/or aerobic exercises. In the case of lower back pain, for example, core strengthening can have a significant positive outcome. Low-impact aerobic exercise like riding a stationary bike can also have a positive impact on reducing pain, increasing mobility and circulation and contributing to a feeling of natural well-being. Supervised stretching exercises to safely relax muscles can also contribute to pain reduction. Manual therapy: your therapist’s healing touch is such an important part of PT treatment for chronic pain. The experience of having a trained therapist move and manipulate your body can have a substantial impact on pain management. According to APTA, manual therapy usually includes joint manipulation, soft tissue mobilization (a targeted PT technique similar to massage) and other strategies, including therapies like dry needling which specifically address the cause of pain. Education: studies have shown that learning and talking about chronic pain can actually help treat it. When patients understand where pain is coming from and the underlying causes, it can reduce the tendency to automatically turn to treatment with drugs. Physical therapists have a deep and comprehensive understanding of the human body and how it works and can help communicate with patients about why they may be experiencing chronic pain. A 2011 NIH study showed the remarkable effectiveness of a simple and short educational session (in combination with strengthening exercises) in reducing low back pain. Your doctor or physical therapist may also recommend counseling in addition to physical therapy when chronic pain is associated with trauma or is accompanied by coexisting conditions like depression or anxiety. Talking and moving can truly be a winning combination! How Long Does Physical Therapy for Chronic Pain Last? The CDC report recommends a treatment period of at least 2 to 6 months. Depending on the condition, it may take longer, and many patients with chronic pain look to make it an ongoing part of their lives. As patients move forward in their treatment, they can often do many of the exercises at home while continuing supervised and hands-on therapy. The sense of partnership that is established between a physical therapist and a patient often goes far deeper than the doctor/patient relationship. Your physical therapist truly becomes a member of your team, working with you to fight chronic pain. And while physical therapy means harder work for patients than simply taking a pill, the results are worth it, with lasting benefits far beyond simple pain management.